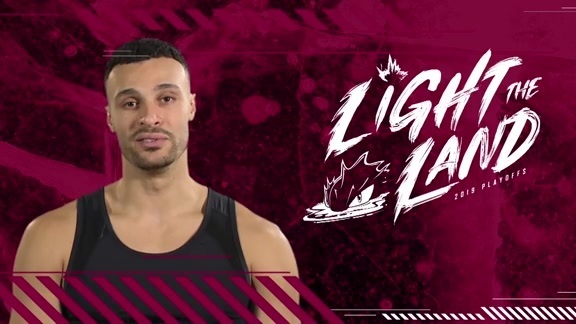 Light The Land, Cleveland! 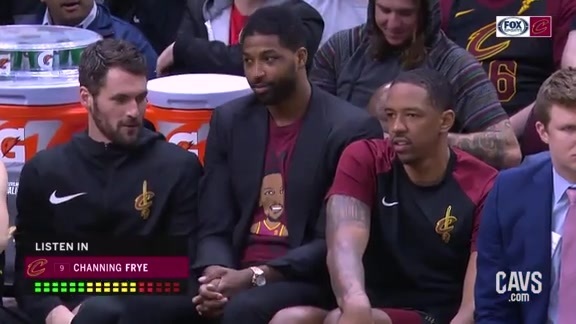 Members of the Wine & Gold wish the Cleveland Monsters good luck as they battle it out in the 2019 Calder Cup Playoffs. 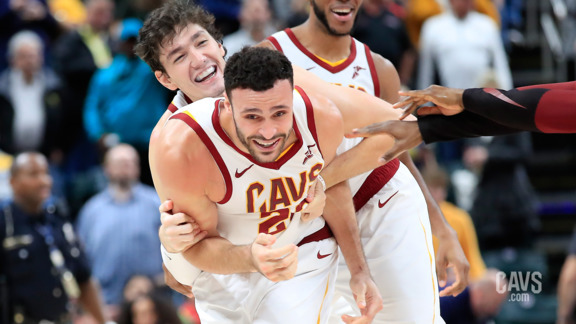 Check out some of the best plays from Kevin Love’s 2018-19 campaign with the Wine & Gold. 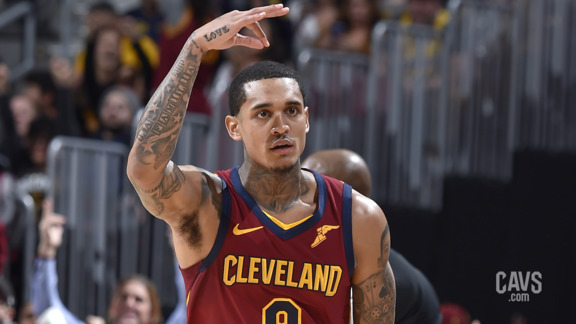 Check out some of the best plays from Jordan Clarkson’s 2018-19 campaign with the Wine & Gold. 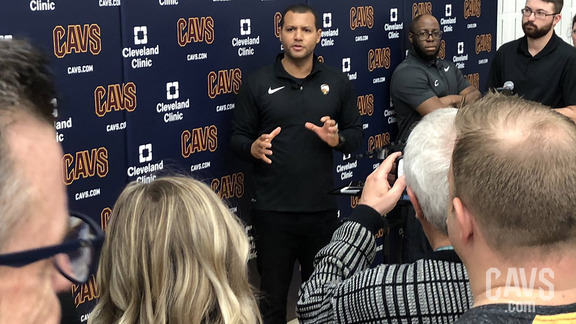 Cavaliers General Manager Koby Altman addresses the media during his end of the season availability at Cleveland Clinic Courts. 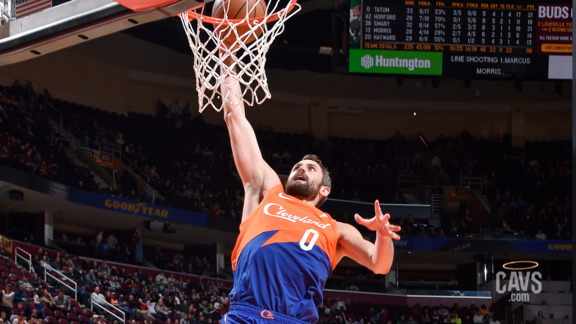 From clutch shots to posterizing dunks, Cavs.com has your best moments from the 2018-19 campaign. 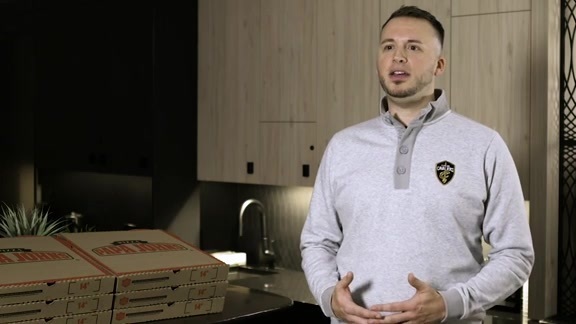 See what #IAMCLE means to Cavs fan Nate Crowe in this video presented by Papa John's. 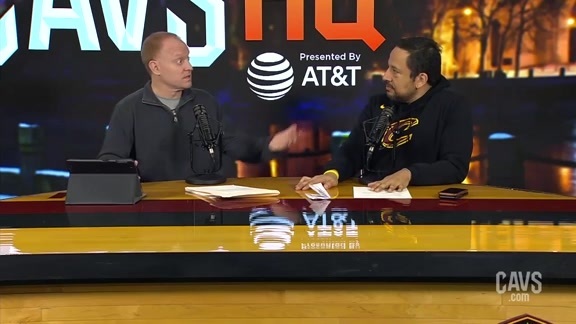 John Michael and Rafael Hernandez-Brito welcome everyone to the Season 3 Show 7 of CavsHQ presented by AT&T. 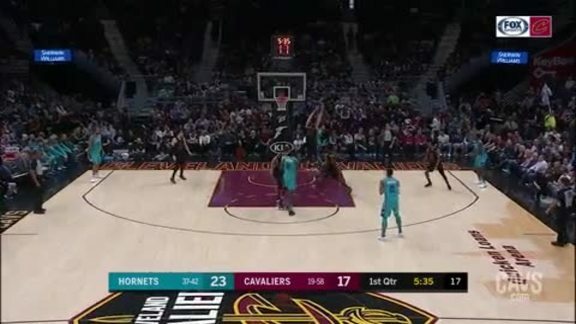 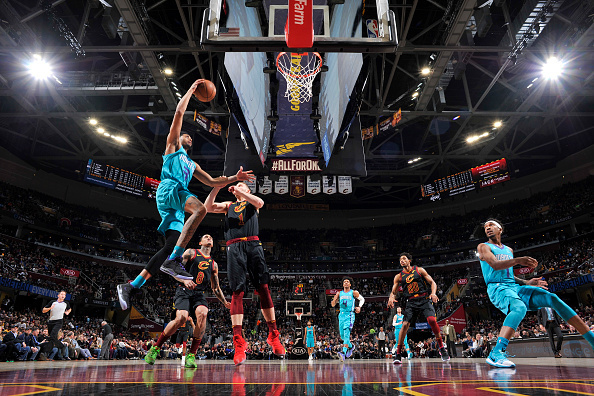 Listen in as FOX Sports Ohio mic'd up Channing Frye during Tuesdays's game against the Charlotte Hornets. 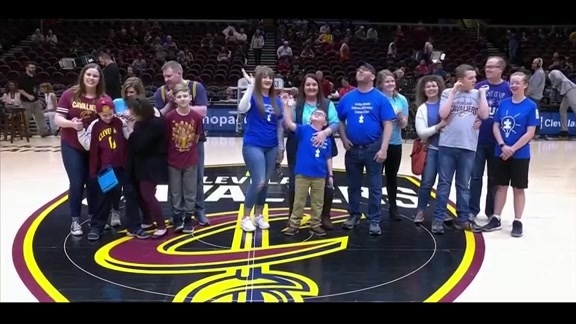 Ahead of Sunday's matinee matchup between the Cavs and Spurs, the Wine & Gold recognized patients with autism and local advocates in honor of Autism Awareness Night at The Q.
Larry Nance Jr. halts Charlotte's Kemba Walker beneath the basket with a two-handed stuff in this 'More Driven Highlight' by Goodyear. 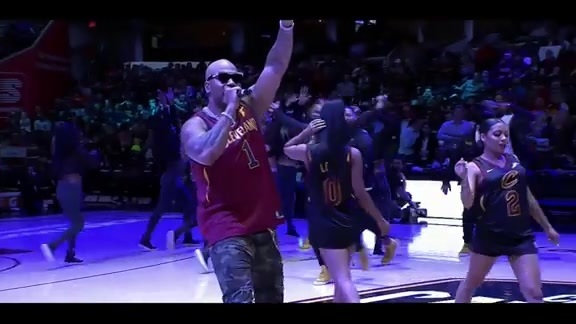 Miami-based rapper Flo Rida performed some of his hit songs during halftime of Tuesday's Fan Appreciation Night at Rocket Mortgage FieldHouse.